All Tech Heating & Chimney Service technicians have been providing consumers living in Victoria, BC with heat pumps for over 10 years. Our heat pumps provide efficient heat during the cold Victoria Winter months and clean, refreshing cooling during those hot Summer days. 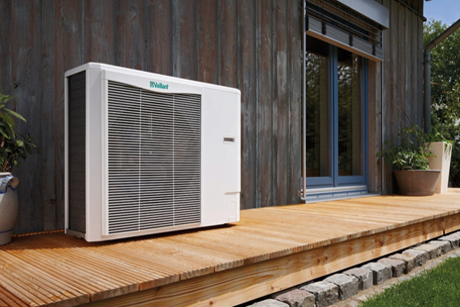 In dollar terms a Heat Pump is one of the cheapest methods to heat a home. Heat Pumps are currently the most cost-effective form of electirc heating. A good quality system can achieve average COP (Coefficient of Performance) figures of four or more. This means that to achieve four kilowatts of heating or cooling power, they use an average of less than one kilowatt of electricity. A conventional heating system such as an electric fire or gas boiler has a COP of less than one. This means that it burns more than one kilowatt of power to produce a kilowatt of heating power. The higher the COP the cheaper a heating appliance is to run. In comparison to other forms of heating, Heat Pumps offer the most energy efficient heating with between 300% to 400% efficiency. Give us a call today to talk to one of our knowledgeable technicians regarding your next heat pump.